Heat oven to 400°F. Spray 9-inch round pan with cooking spray. 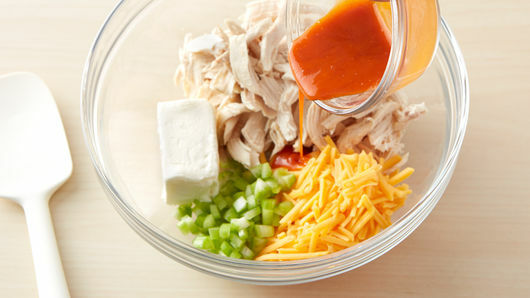 In medium bowl, mix cream cheese, chicken, hot sauce, Cheddar cheese and celery until well blended. 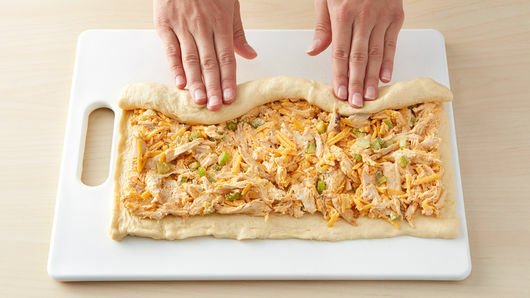 On large cutting board, unroll dough sheet; spread chicken mixture evenly on dough to within 1/4 inch from sides. Starting with one long side, roll up dough; firmly pinch seam to seal. Place seam side down on cutting board. 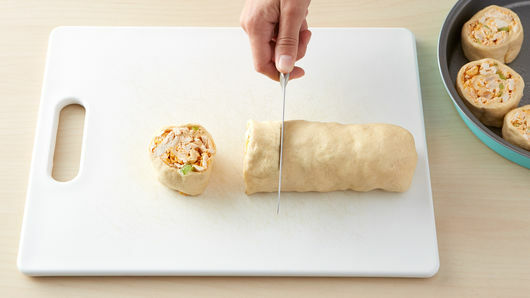 Using sharp knife, cut roll into 8 equal slices; place cut side down in pan. Bake 25 to 30 minutes or until deep golden brown. Serve with ranch dressing and, if desired, additional Buffalo sauce. 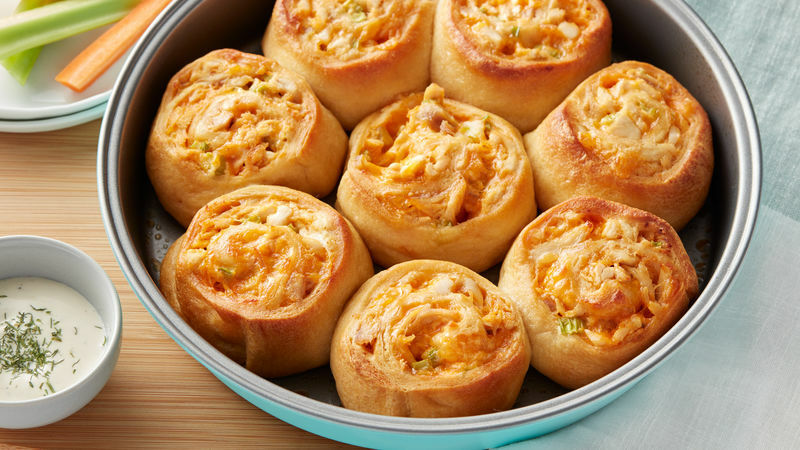 For blue cheese lovers, top roll-ups with crumbled blue cheese after baking. Shredded rotisserie chicken can be found in the deli section of your favorite grocery store.